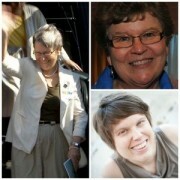 Rabbi Mychal Copeland speaks and writes about the inclusion of LGBTQI people and interfaith families in religious life. 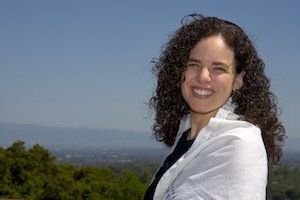 She is the Bay Area Director of InterfaithFamily, and served for thirteen years as a university rabbi, first at UCLA and later at Hillel at Stanford University. Her book, Struggling in Good Faith: LGBTQI Inclusion from 13 American Religious Perspectives (SkyLight Paths, November 2015), grew out of her campus work. She earned a Masters in Theological Studies from Harvard Divinity School, and a rabbinical degree from the Reconstructionist Rabbinical College. Mychal is the founder of a national Rosh Hodesh (new moon) project for teens, It’s a Girl Thing, that celebrates the monthly lunar cycle and strengthens teen girls’ self-esteem and spirituality with over 100 groups around the country. 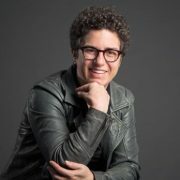 She served as the Cooperberg-Rittmaster Rabbinic Intern at Congregation Beit Simchat Torah in New York City, the world’s largest Jewish LGBTQ community and wrote for the volume, Changing Lives, Making History: Congregation Beit Simchat Torah. Mychal is a certified yoga instructor and fuses Jewish spirituality with movement in her yoga teaching. She writes a monthly Torah column for the J: Jewish News Weekly of Northern California and other articles include in the Huffington Post, Sh’ma Journal of Jewish Ideas, and Religion Dispatches. WATERtalk Notes: "Creating 'Radical Grace'"
WATERtalk Notes: "Queer Activism and the Christian Right"